After one month of training and two events complete this season, the track teams are focused on staying in shape and injury free by February. 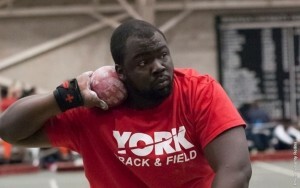 The indoor track season started Jan. 10 at the Fairleigh Dickinson University Knights Indoor Classic. On the men’s side, sophomore Roshane Wright finished second in the 400-meter dash and long jump. Junior Jaron Williams won the triple jump and bested two Division I athletes in the event. On the women’s side, Senior Shanice Brown finished fifth in the 60-meter hurdles while junior Akera Allen finished sixth in the long jump. Senior Danielle Dunn also finished fifth in the weight throw. The team’s second meet was on Jan. 17 at the LI Winter Invitational. On the men’s side, Wright won both the long jump and 400-meter dash. On the women’s side, Freshman Alana Johnson finished fourth in the triple jump and Brown finished sixth and tenth in the 60-meter hurdles and 60 meter dash respectively. Captain Jesus Medina described his thoughts on the season so far and his goals for February. Medina says he doesn’t focus on the start as much in the 400 meter event. The most important part of the 400 meter event is the finish as it takes the most endurance. He relies on his form as a runner, specifically on the arms and knees, along with breathing techniques. There are players on the team that have excelled well during the meets. Head Coach Mark Benjamin likes the early success his team has experienced so far. There have been many surprises in the season with players making improvements in their events. Benjamin expects Johnson to win the triple jump this year and recommends she step up in the 800 meter event. Medina also expects Johnson to do well in the season for the women’s team despite it being too much for a freshmen and exceeding in her respective event..
Johnson is coming off an excellent season in cross country and her coaches and teammates see it. Although both teams have done well in their respective events, Benjamin wants to improve in some weak aspects as they get closer to February. Both team’s next meet will be on Jan. 31 at the second Wesleyan University Invitational in Middletown, CT.